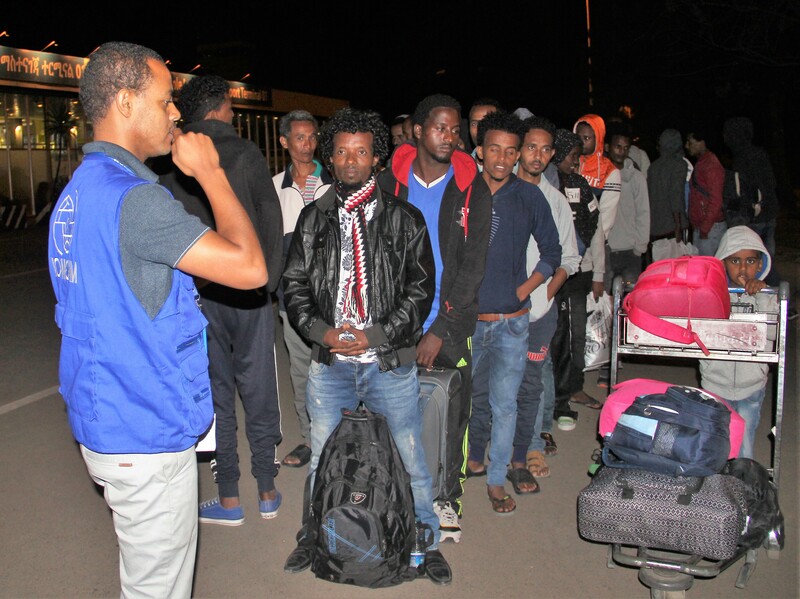 Addis Ababa – IOM, the UN Migration Agency, assisted in the voluntary return of 76 Ethiopian stranded migrants from Libya on 24 September 2018. The group comprised 12 women and 64 men. Among the returnees, four were migrant children, while six were psychiatric cases. Each said he or she had no means to return home without the Organization’s support. The migrants departed Zintan, Libya making their way to Cairo, Egypt then arriving in Addis Ababa, Ethiopia. Lured by smugglers, migrants from Ethiopia often have chosen what’s known as the Northern Migratory Route – through Sudan, Egypt and Libya – expecting to cross the Mediterranean to a better life in Europe. Instead many were captured by traffickers, forcing their families to pay large sums of money for their release. In fact, many unfortunate African migrants to Libya have experienced being sold as slaves to work off the ransom terms of their captors. Surviving such ordeals is no guarantee of future success. IOM’s Missing Migrants project indicates that 1,728 migrants have lost their lives in the months between January and September 2018 on the Mediterranean alone. Since August 2017, a European Union funded programme – Joint Initiative for Migrants Protection and Reintegration – has assisted 102 Ethiopian migrant returnees from Libya. Under the programme, Ethiopian returnees coming back from Djibouti, Sudan, Tanzania, Yemen, Zambia and South Africa have been provided with post-arrival assistance. This week’s action has been by far the largest number of returnees the programme has received from Libya. The EU-IOM Joint Initiative and Better Migration Management (BMM) programmes funded by the European Union Emergency Trust Fund aims to support migrants voluntarily returning to the country of origin. The two programmes focus on ensuring not only the return of the vulnerable migrants, but also contribute to the sustainable reintegration. 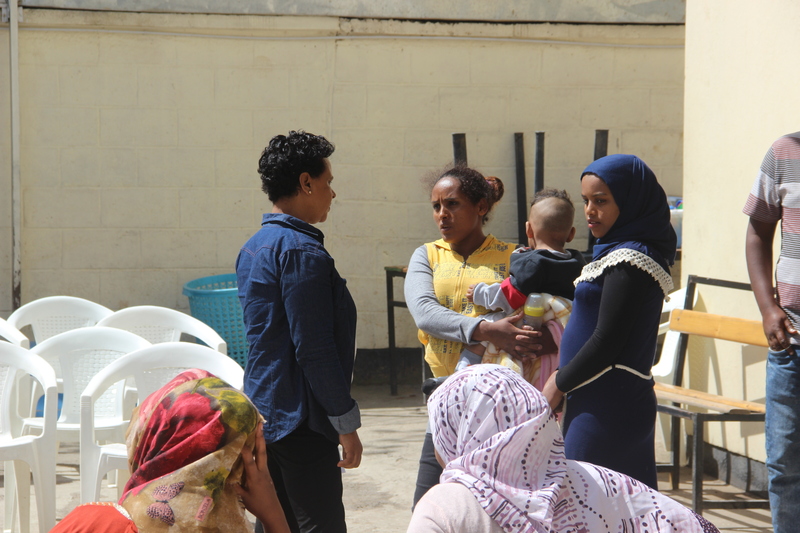 Upon arrival in Ethiopia, post-arrival assistance – which includes one overnight accommodation, medical screening, psycho-social support, onward transportation and counselling – is provided to the returnees at the IOM Assisted Voluntary Return and Reintegration Transit Centre. The return assistance for the 76 migrants was possible through a funding received from the Government of Italy.